Along Highway 401 between Raleigh and Fayetteville, Sunset Lake Rd. meets 401 at a traffic light northeast of downtown Fuquay-Varina. If you are on Hwy. 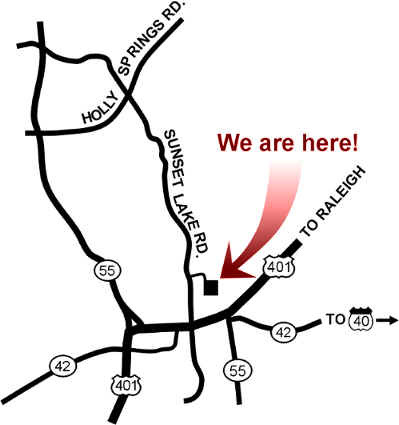 401 traveling from the Raleigh direction, turn right onto Sunset Lake Rd. If you are traveling from the Fayetteville direction, you will turn left onto Sunset Lake Rd. Ãƒâ€šÃ‚Â© Standard Homes Plan Service, Inc.